That wine was so smooth going down, and your liquid courage led you to send a text or 20 that added regrets to that hangover. Grab a bottle of water and some I Didn’t Text You The Wine Did Mints to nurse you all your wine-related morning headaches. 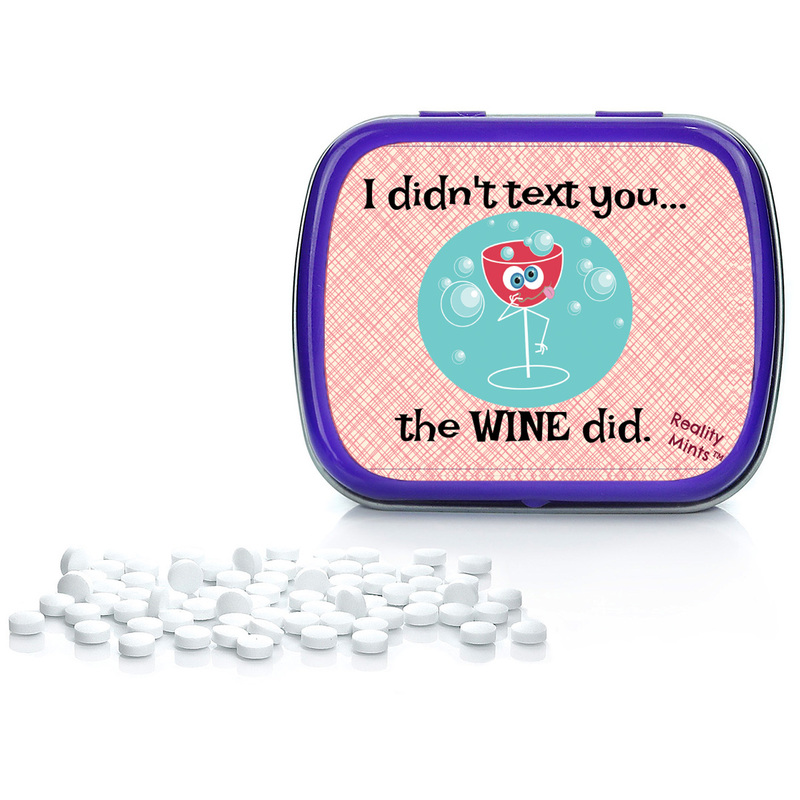 Wine Text Mints are the go-to breath mint for those who may have sent some text messages that were wine-inspired. You may not be able to go back and delete them from text histories, but you can send some mints to explain the situation. Soften those impending awkward conversations with a few chocolate mints. 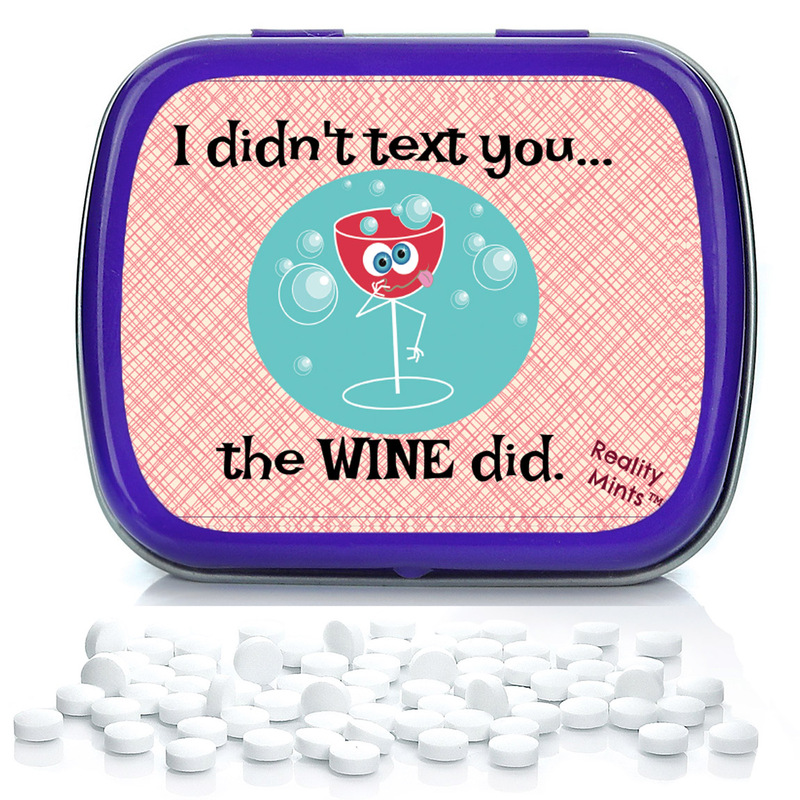 At the very least, stealing a few extra merciful moments to pop some breath mints will buy time before you have to apologize for your wine’s regrettable texting decisions. It wasn’t you, it was totally the wine. 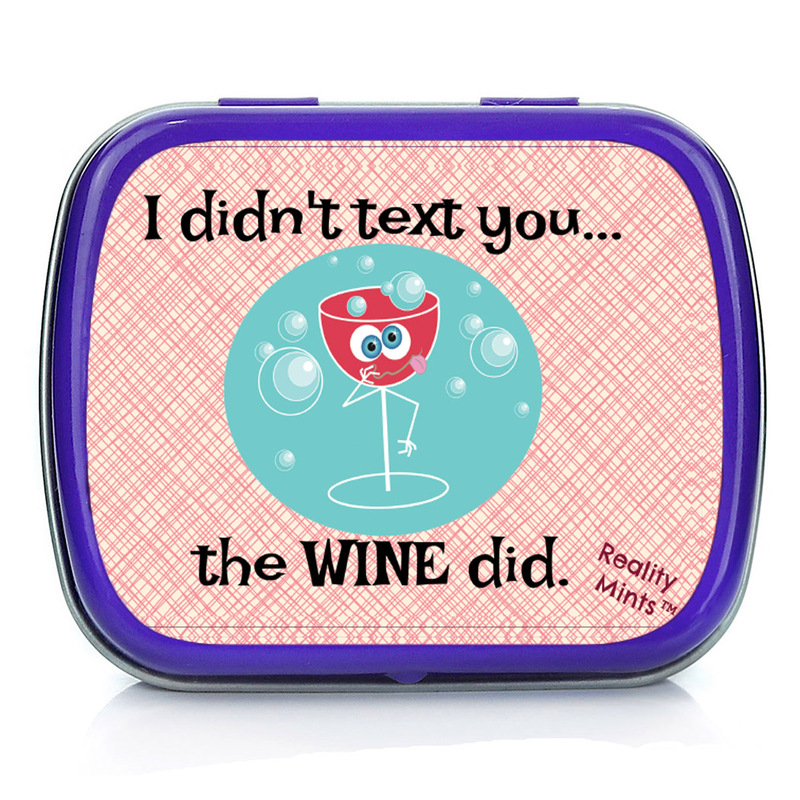 - Collectible tin reads: I didn’t text you…the WINE did. 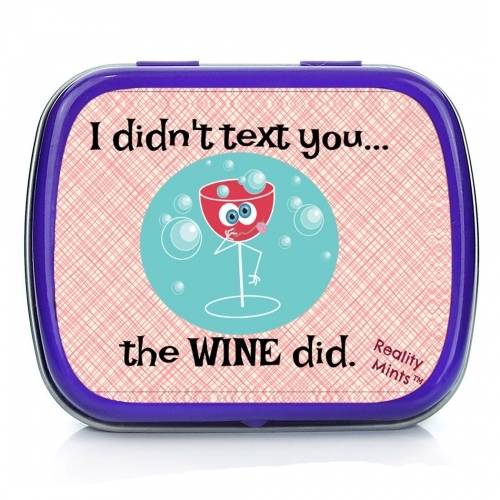 Repeat wine text offenders will appreciate that you’re looking out for their best interests when you discreetly slip them a tin of I Didn’t Text You, The Wine Did Mints. Everyone’s been there, but not everyone has friends and family who will rush to their aid with this funny wine gift. Filled with chocolate breath mints, this weird wine gift for friends is an entertaining stocking stuffer, white elephant idea, just because gift, or addition to birthday gift bags, care packages, or Easter baskets for adults and wine lovers.